Flash Beta To Hit Android Devices In May, Require Froyo? We Have The Beta Sign-Up Links! 1 Exhibit A: "Flash details from Flashcamp"
4 Exhibit D: Don't Forget About Air! 6 The Goodies: Sign Up For The Flash And Air Android Betas! 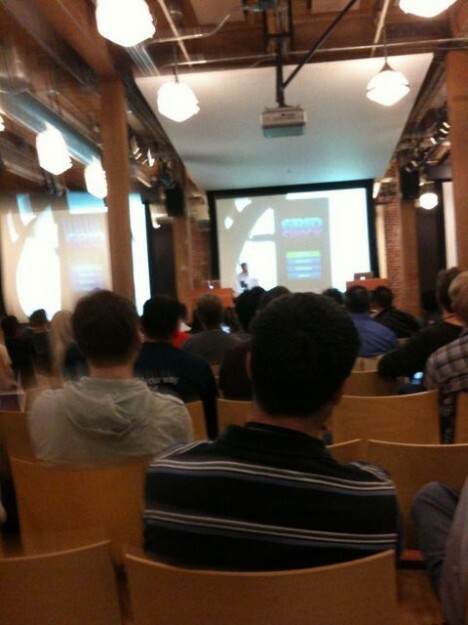 If Twitter and a few online forum posts are to be believed, Adobe had some interesting things to say about Flash hitting Android yesterday at FlashCamp, a mini-conference for developers held at Adobe's San Francisco offices. Details are still somewhat sparse, as we're piecing them together from various sources around the web, but it appears that Adobe not only raffled off a Nexus One and demoed a few flash games on Android, but they also announced that Flash would run exclusively on Froyo builds and higher, and that both Froyo and Flash would be released in May. Seeing as how seriously a May release date would conflict with Adobe CEO Shantanu Narayen's previous statement, I'm guessing that it is actually a beta that would be released in May and not a final build. I also expect the situation to be similar with Froyo - we may see some Froyo code dropped by Google into the Android Open Source Project, but I seriously doubt we'll be seeing anything final in May. I'll present some of the evidence we've gathered below. Be sure to leave your thoughts in the comments! Exhibit A: "Flash details from Flashcamp"
Flash Player will run on any handset with FroYo. Both should be available in May. FP is hardware-optimized when possible, hence the dependancy on FroYo. Bowler Hat's GridShock was being demoed on a Droid as a native APK (just like the iPhone Packager). I forgot to check the Android version, but it felt slightly laggy. I think I heard AIR (the Android Packager) should ship around September. Awesome Android devices will ship this year, including tablets. Our consensus: We can confirm the popular flash game,Gridshock was demoed yesterday, but again, a May release date for both Froyo and Flash is highly suspect. Take the the release date details with a grain of salt - everything else seems solid though. In better news, if you're going to FlashCamp SF tonight, you'll get to see the Android versions of Chroma Circuit, Gridshock and Qrossfire! Our consensus: Josh is also the one who took the photo linked above and this tweet lines up with what we've heard so far. @teresaau: #flashcamp Wadhwani demoing the Android N1. Flash game Kingpin Bowling is one of his favorites. @darthmario: #flashcamp flash on android looks pretty darn smooth. Our consensus: People seem seem pretty enthusastic about Flash's performance on what was purportedly a Motorola Droid. It should only run better once it's slapped onto superphones like the Nexus One and EVO 4G, or a tablet like the Notion Ink Adam. Exhibit D: Don't Forget About Air! Our consensus: Not nearly as much excitement over Air, but it's nice to see that progress is being made. Overall almost everything lines up fairly nicely - Flash was definitely demoed, it seemed to run well, and people are genuinely excited. I wasn't able to find anything that can backup the release date, so I wouldn't bet on anything being released in May other than betas, but hey, that's something, right? The Goodies: Sign Up For The Flash And Air Android Betas! If you, or anyone you know happened to be at FlashCamp, drop us a line!